So you’re on a budget, and you need a reliable, sporty, fun crossover with room for all your stuff to help you get out there and find adventure! If that’s you, then you seriously need to check out the 2019 Fiat 500L. Starting at Just $21,915 and featuring a winning combination of beautiful European styling, reliable performance and impressive cargo room, the 2019 Fiat 500L is designed to impress from any angle, but especially from behind the wheel! Ready to buy a 2019 Fiat 500L in Fayetteville, Arkansas? 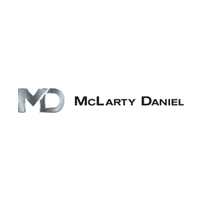 Then stop in today for a test drive at McLarty Daniel Chrysler Dodge Jeep Ram Fiat in Springdale, the area’s only Fiat dealer and service center! A FUN AND YOUTHFUL DESIGN: Though the design of many small crossovers is about as exciting as frozen pizza, the 2019 Fiat 500L was built from the ground up to have a look and feel that inspires you to get out and find your own path. For one thing, it looks like nothing else on American highways, with Euro-inspired styling that is a standout even among SUVs and crossovers costing twice as much or more. Bright chrome exterior mirror caps and door handles bring the flash, while your choice of nine high-fashion-inspired color choices help make your 2019 Fiat 500L uniquely your own. Want even more flair? The 2019 Fiat 500L is available in two-tone colors, too, for a modern-meets-classic look that won’t quit, while available 17-inch triple spoke wheels lend a sculpted, athletic feel. BIG, BUT NOT TOO BIG: With a compact crossover like the 2019 Fiat 500L, interior design and materials choices are key to making your road trips feel like an adventure instead of a slog. The thoroughly Italian design of the 2019 Fiat 500L interior makes all the right moves, creating an interior that comfortable seats five while still being a joy for the senses. High-back bucket seats up front feature unique, rounded headrests and heavy bolsters, to keep you planted and confident even when the going gets curvy. Headed out of town? Fold the rear seats flat to open up a full 68 cubic feet of cargo room. Even with the seats up, you’ll have 22.4 cubic feet for The Fun Stuff, plus surprising head and legroom thanks to the 2019 Fiat 500L’s high roofline and longer wheelbase. LEGENDARY FIAT PERFORMANCE: Fiat’s performance and racing heritage is legendary. Every 2019 Fiat 500L benefits from that long history of Italian performance with powertrain options that will turn the road into your playground while still saving enough money on gas for plentiful fun along the way. Standard power under the hood is the reliable, efficient 1.4-liter MultiAir turbocharged four cylinder, delivering a robust 160 horsepower and 184 lb.-ft. of torque, for confident passing on the highway and surprising acceleration around town. Backed by a heavy-duty six-speed automatic transmission with electronic lockup for crisp and exhilarating shift, the engine delivers an incredible 30 miles per gallon on the highway. Putting that power to the ground is a sport-tuned suspension with cutting-edge Frequency Selective Damping for the perfect balance of comfort and corner-carving athleticism. 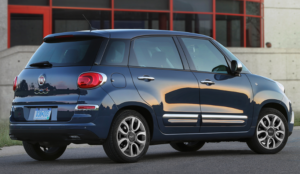 Heard enough to know you’re ready to buy a 2019 Fiat 500L in Fayetteville, Arkansas? If not, stop in today for a test drive at McLarty Daniel Chrysler Dodge Jeep Ram Fiat of Springdale and become a Fiat fanatic! One driver of the 2019 Fiat 500L, and we believe you’ll be smitten by this fun, beautiful, affordable crossover from Fiat! Come see us soon, or check out our big selection of 2019 Fiat 500L models online right now.